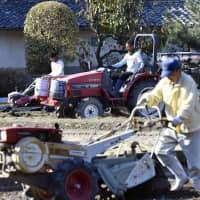 A new visa program designed to lure more workers to Japan takes effect Monday, and government officials and industry leaders hope two new types will help alleviate the national labor shortage. But whether businesses are prepared to accept them is an entirely different matter. 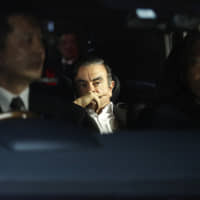 Companies and organizations interviewed by The Japan Times said they remain in the dark about many details of the new system and are still unsure whether they have the capacity to provide adequate support for employees who will be starting a whole new life in Japan. 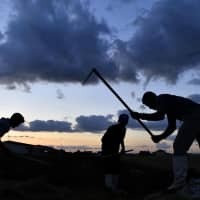 Under the new system, up to around 340,000 blue-collar workers are expected to come to Japan to work in 14 sectors over the next five years. The nursing care sector is slated to accept as many as 60,000 — more than any other sector. 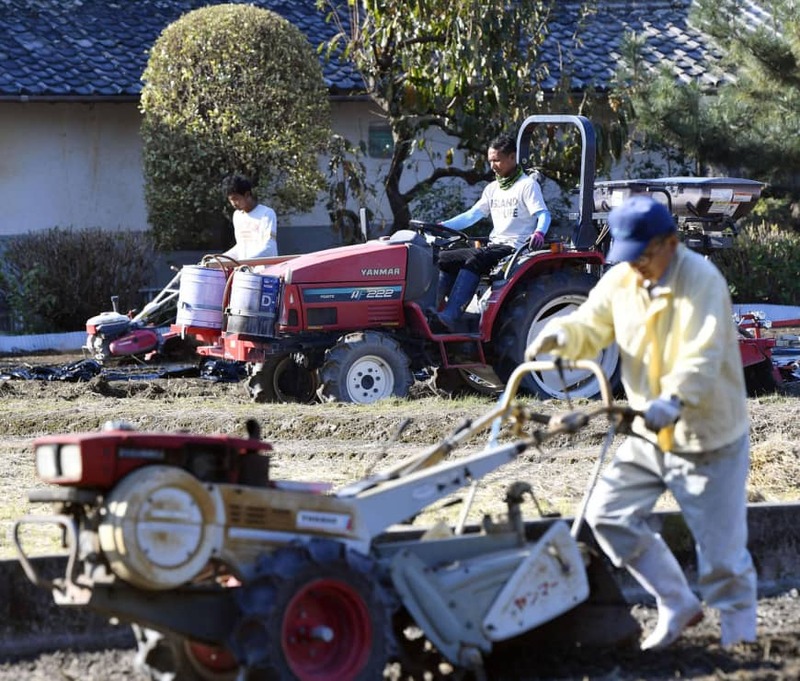 The industry is crucial for the rapidly graying population and companies are hopeful the new system will help them out, said Go Tsurumura, an official from the secretariat of the Japan Federation of Kaigo Business Providers, an industry group. And yet Tsurumura’s hopes are tempered by a sense that, with the exception of some businesses with prior experience handling foreign workers, the nursing care industry overall “hasn’t yet developed a basic system for supporting foreign caregivers” on the new visas. An official at a Tokyo-based nursing-care provider who agreed to speak on condition of anonymity said his firm is looking to accept foreign workers through the new system but has no experience of this kind. So, whether it can provide enough support is a major concern, he said. “They might feel homesick. 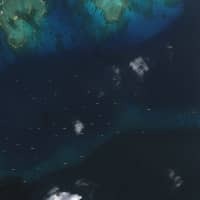 In some cases, I hear they disappear,” he said. The new visa system calls for creating two types of resident statuses. The Type 1 visa, which applies to all 14 sectors, is for people with a certain level of vocational and Japanese skills in specified areas. The Type 2 visa is for those with advanced skills. 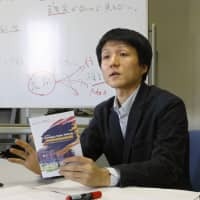 “The government just started holding briefing sessions for the related industries this month (in March), so I think a lot of companies are still in the dark” on the new system, said Hironobu Takeda, an official at Saint Media Inc., a Tokyo-based recruiter that introduces caregivers to facilities. 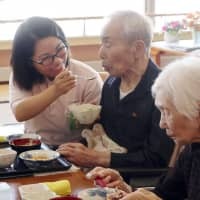 Companies will be required to submit so many documents to the government to hire foreign caregivers that “I don’t think they can handle the administrative work just by themselves,” Takeda said. 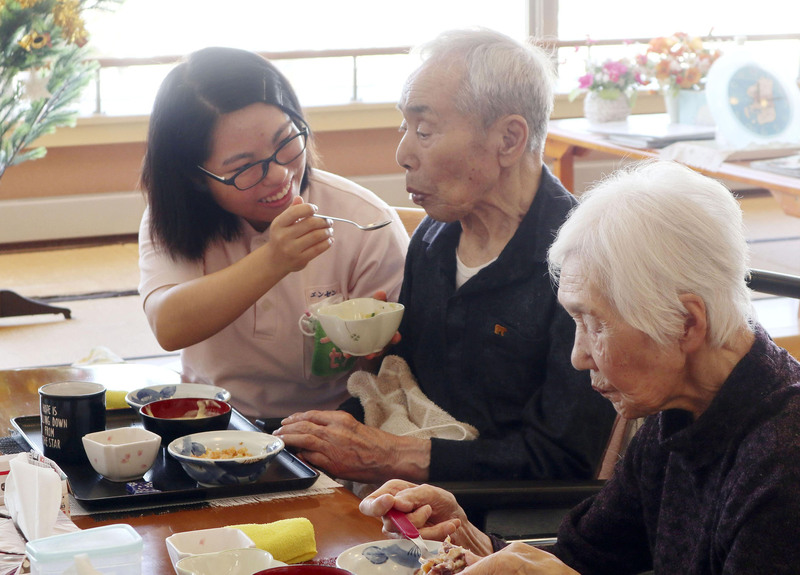 Nursing care provider Keiseikai, which manages facilities mainly in the cities of Osaka and neighboring Daito, says it is willing to accept foreign caregivers under the “specified skills” visa. But its chief concern is that the paperwork and the regulations on nursing-care providers who can hire them remain unclear, said Koki Ota, a senior company official. “We’re still waiting for more information — as soon as the details are released, we’re ready to move ahead,” he said. Keiseikai already has 12 students from Vietnam as part-time as caregivers, so Ota said it knows how to bring in more on the Type 1 visa and how to support them, including with lessons on Japanese nursing terminology. In the nursing-care sector, however, the language proficiency requirements may pose a challenge. Of all the 14 industries, only nursing care requires aspiring workers — excluding those who will switch from technical intern status — to pass two kinds of Japanese tests in addition to a skills test for the Type 1 visa. The two Japanese tests include one that is common to all industries and another that ensures applicants have the language proficiency needed to perform nursing-care tasks. The first wave of testing will take place on April 13 and 14 in Manila. Some nursing businesses have voiced concerns about the arrangement, arguing that the linguistic bar should be set lower. 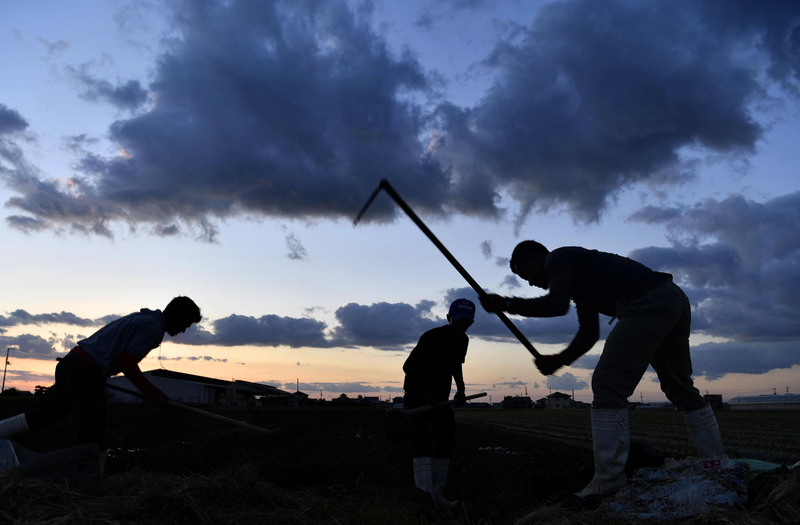 According to Tsurumura of the Japan Federation of Kaigo Business Providers, some businesses even contend that “improving the working environment for foreign workers is more important” than language proficiency and think the requirements should be relaxed. The restaurant and lodging industries will conduct the skills test later this month and are also weighing how to handle the foreign influx. 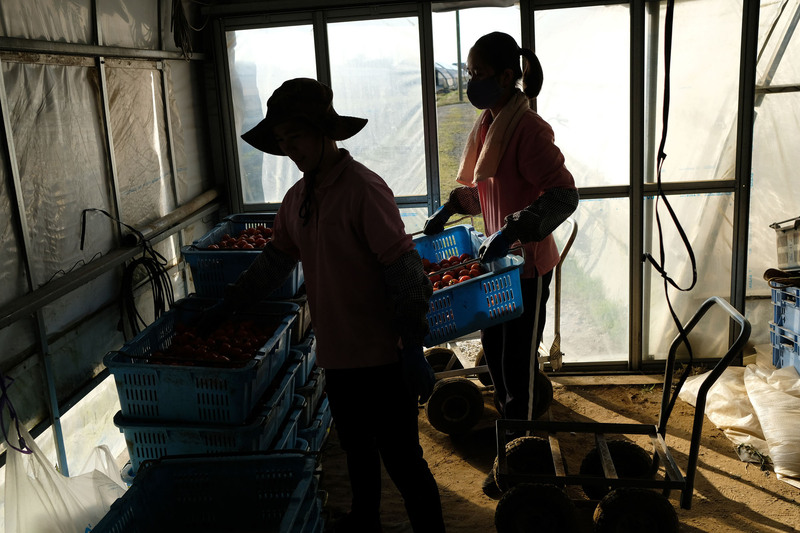 Over the next five years, the restaurant industry is set to accept the second-largest number of foreign workers, 53,000, with the lodging industry prepared to take 22,000. Still, any changes will be gradual, and the average consumer won’t necessarily see a vastly different workforce in the near future. “The real action is going to happen much later,” said Yasuo Kanamaru, a director at the Japan Food Service Association, an industry group representing restaurants. 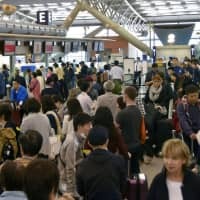 That’s because the language tests and other new visa procedures will start gradually, meaning the entire process could take months, Kanamaru said. Hideyuki Sato, a senior official at the 2,600-member Japan Ryokan & Hotel Association, said many businesses would accept workers under the new visa system. “The businesses, especially those in rural areas, are facing a serious labor shortage,” Sato said. He said the industry is furthering discussions on how to match qualified applicants with prospective employers. But the hospitality industry has a relatively large number of small and midsize businesses, Sato said, and their ability to provide support to foreign employees is limited. Hence, they are likely to rely on external support, Sato said. Sato also acknowledged that promoting understanding of the visa system to hotel managers remains a challenge and that the industry group is holding briefing sessions for member companies. While industries are getting ready, the coming change has created business opportunities for companies like Pasona Group Inc. The staffing-service giant sees a chance to carve out a niche offering support to employers. Through experience, Pasona has learned that retention is the real challenge for employers because of the differences in language and cultural values. 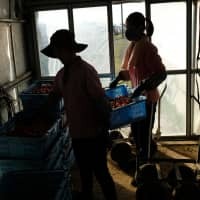 He said foreign workers who struggle to integrate generally need more support than Japanese employees, so companies that fail in that regard tend to have problems retaining staff. That reality led Pasona to launch a new comprehensive aid service to coincide with the new visas, including help with procedures for acquiring residence status, training in business communication and a multilingual help line. The biggest challenge in hiring foreign workers, Tani said, is culture clash. So the service includes a training program to teach them about Japanese corporate culture and give guidance to employers on how to communicate with foreign employees while respecting their cultures. Companies should provide as much support and communication as possible so foreign entrants will be able to adapt to their new lives in Japan smoothly, Tani said.